This project aims to assess the extent to which investigative journalism training for Arab journalists can be regarded as a knowledge and, in turn, a democracy building tool within the Arab world post the ‘Arab Spring’ protests. Specifically, the project is focused on how investigative journalism training and practice can be developed to provide in-depth news reporting in order to foster a democratic and transparent environment, which could lead to a sustainable and peaceful existence in post Arab Spring regions. Through interviews with Arab investigative reporting trainers, supervisors and journalists, this project aims to uncover the issues, challenges, and opportunities facing investigative journalism training in the Arab world, and in turn produce a set of recommendations that would provide a framework for improving investigative journalism in Arab countries. Specifically, this proposed project for funding will be conducted through interviews with trainers, supervisors and journalists at the Arab Reporters for Investigative Journalism (ARIJ) organization, which is based in Amman, Jordan. ARIJ was established in 2005 as the first investigative reporting organization which seeks to train, support and fund Arab journalists wanting to learn and practice the skills required for investigative reporting. The organization was set up before the Arab Spring protests when investigative reporting was limited to basic social and economical issues, now however these issues have been expanded to more crucial political matters as a result of the changes brought about by the Arab Spring. This has meant that the political environment should be appropriate for the rise and prominence of investigative reporting. This project is divided into three stages: The first stage, which this funding proposal is aimed at, seeks to interview trainers and journalists at the Arab Reporters for Investigative Journalism (ARIJ) as the nuclear training organization in the Arab world. The second stage after this initial project is completed, and which this funding proposal is not aimed at, seeks to interview trainers and journalists in other Arab countries where investigative reporting units in regional media have been set up by ARIJ. The third subsequent stage will be aimed at conducting a textual analysis of news reports from selected news outlets over a span of different media platforms to evaluate the extent to which the actual media reporting in countries affected by the Arab Spring can be classified as ‘investigative reporting’. This part of the project aims to estimate the extent to which investigative reporting is actually developing as a form of news reporting in the region. It is necessary to point out, however, that the funding sought here is only for the first stage of this project. Future funding will be sought for the subsequent two remaining stages of the overall project. Funding requirements for this first stage of project will entail travel to Jordan for the chief investigator at this stage, in addition to funding for the employment of a translator/transcriber for the interviews. It is necessary to point out, that I as the primary researcher, have a solid experience in this area. I hold a PhD in journalism practice in the Arab World from the University of Melbourne, in addition to a MA research from Queensland University of Technology on media policy, and a MA in Communications from Monash University in Australia—these are all top universities. Prior to that I had worked as a journalist for the government-owned Radio Jordan for four years, hence I have solid knowledge and experience of journalism practice and regulations in Jordan and other Arab countries. In addition I have worked as a journalist at the Amman bureau for CNN, World News Events and Dubai TV. I also attended a peace conference in 1996 for female journalists conducted by Lilyan Wilder in New York, representing Jordan, as part of three other journalists from Israel, Egypt and Palestine. Accordingly, I have an in-depth interest in journalism as a peace-building tool. I am fluent in Arabic, including reading and writing, and have the ability to converse in a range of dialects in Arabic. Currently I am teaching an undergraduate investigative journalism unit at my home institution, Swinburne University of Technology in Melbourne. In addition, I have a book chapter accepted on the use of social media for investigative journalism training and due for publication mid this year. These skills will allow me to carry out the project in a smooth and timely manner. Overall, what this proposed project aims to do is evaluate the extent to which investigative journalism in the Arab world can expand to become common practice by pinpointing the limitations and opportunities available to investigative reporting in the Arab world. As a result, this project seeks to provide a set of recommendations to outline the way forward in order for such a practice to play a considerable role in democracy building in the Arab world post the Arab Spring. The results and recommendations of this study will be laid out in a form of an academic paper submitted to a peer-refereed journal, in addition to a report. This project relates strongly with the goals and mission of the International Peace Research Association, in that it provides a research project that outlines the transition from conflict to post-conflict practice of journalism though investigative reporting, as a knowledge-based form of journalism. Accordingly, this study will provide a systematic set of recommendations based on the results of the study, which will in turn aim to advance a solid peace and democracy building process though journalism practice in the Arab world. This project looks into the use of media as a democracy-building tool in post conflict regions through the study of the role of investigative journalism in the Arab region. Investigative journalism is a branch of journalism practice which seeks to uncover important and crucial happenings and occurrences that cannot be ignored or undermined. Several scholars have their own interpretation and understanding of investigative journalism and this has been discussed in their work (Hunter 2012; de Burgh 2008; Ettema and Glassers 1998). James Aucoin (2006) interprets it as informing the public about something that is of importance to them and which they do not know. The Dutch-Flemish Association for Investigative Journalism (VVOJ) defines it as ‘critical and in-depth journalism’ (VVOJ, 2011). Yet a comprehensive and encompassing definition of investigative journalism has been articulated by Robert Green, where he sees it as ‘the reporting, [primarily] through one’s own work product and initiative, matters of importance which some persons or organizations wish to keep secret’ (cited in Ullmann, 1995: 2). According to Ansell et.al (2002), investigative journalism has a few defining aspects that differentiates it from other forms of journalism: first investigative journalism is about digging deeper on a particular issue or topic which is of public interest; it is a process rather than an event; it needs to be original and proactive; it must shed light on new information; it should be multi-sourced; and due to its in-depth nature, it calls for greater resources, teamwork and time than a routine news report. (Ansell et.al, 2002: 4-5). From these defining aspects it can be seen that training future journalists the skills required for investigative reporting is necessary for such a form of journalism to develop in a region where such practice has been historically limited. This project, therefore, is focused on how investigative journalism training can be used to develop and nurture democratic social and political systems in Arab countries affected by the recent wave of ‘Arab Spring’ protests which have either led to reform or to change in political regimes altogether. Prior to the Arab Spring, the media were mainly state-controlled and the practice of investigative reporting, which aims to ‘dig deeper’ and uncover facts on various issues of concern, was regarded as taboo. Commercial media enterprises sought to steer away from social and political issues and focus more on entertainment as a safer option, since it was also an area that yielded larger financial return. News reporting in Arab countries, therefore, has historically been controlled and opinion pieces have been monitored. However in countries such as Tunisia, Egypt and Libya, which have undergone a structural regime change, media institutions and journalism practice have supposedly been freed from the control of the state thus enforcing their role as the fourth estate – at least theoretically speaking. This project, therefore, aims to uncover the extent to which investigative journalism—as a form of knowledge building journalism—is actually developing in the region through investigative journalism training. This study seeks to uncover the limitations and opportunities for investigative journalism training and practice in the Arab world and in turn provide recommendations for ways forward in order to develop investigative journalism as a form of democracy building in post conflict countries. The first part of this project will primarily focus on conducting interviews with trainers, supervisors and journalists at the Arab Reporters for Investigative Journalism (ARIJ) organization based in Amman, Jordan, which was established as the first investigative reporting organization which seeks to train, support and fund Arab journalists wanting to learn and practice the skills required for investigative reporting. This organization was set up in 2005, so way before the rise of the Arab Spring, and focused only on small socio-economic issues such as education and the environment. It was only after the wave of protests during the Arab Spring, did ARIJ start encouraging journalists to investigate political corruption, organized crime, and money laundering as was the case in Egypt. As a result of the political change brought about by the Arab Spring—at least theoretically speaking—such an environment should be ripe for investigative journalism to rise. The existence of training organizations for investigative training such as ARIJ, means that the infrastructure is there for such journalism practice to advance. Accordingly, what this project aims to do is evaluate the extent to which investigative journalism in the Arab world can expand to become common practice by pinpointing the limitations and opportunities available to investigative training and reporting in the Arab world. As a result, this project seeks to provide a set of recommendations to outline the way forward in order for such a practice to play a considerable role in democracy building in the Arab world post the ‘Arab Spring’. It is necessary to note that ARIJ was set up with the help of professionals from Denmark, where meetings were held in Copenhagen, Damascus, Beirut and Amman before the program was set up with funding from the Danish Parliament, disbursed through the Copenhagen-based International Media Support (IMS). Technical support was provided by The Danish Association for Investigative Journalism (FUJ), and over the years more funding was provided by organizations such as the Foundation for Open Society, UNESCO, the Washington-based International Center for Journalism (ICFJ), the Swedish International Development Cooperation Agency (SIDA). – Providing training, resources and a community of support to investigative journalists. – Promoting high professional standards. – Protecting the rights of investigative journalists. – Ensuring the future of ARIJ as an umbrella for several national investigative journalism chapters. – Introducing new platforms for research and publication’ (http://arij.net/en/about-us, 6 February 2013). The significance of studying the role of ARIJ through this project, therefore, is that it assists in understanding the extent to which training journalists in investigative reporting can act as a democracy building tool post the Arab Spring according to its mission statement. Overall, the aim of this project is to gain a better understanding of the state of investigative journalism training, and sequentially investigative journalism practice in the Arab world. Based on this study, a set of recommendations will be produced highlighting the way forward, and taking into account the issues, limitations, challenges and opportunities for investigative journalism practice as a knowledge building tool in Arab countries in light of the new era the region is currently facing. This project enforces and reiterates the goals and mission of the International Peace Research Association by providing researched-based strategies in improving and developing the role of Arab investigative reporting as a knowledge and democracy building tool in post-conflict regions. 1. The interviewing of trainers, supervisors, and journalists at the Arab Reporters for Investigative Journalism (ARIJ) as the nuclear training organization in the Arab world, and which is described below. Please note that this funding proposal is intended for this first stage only. 2. The interviewing of trainers, supervisors and journalists in other Arab countries where investigative reporting units in regional media have been set up by ARIJ, in order to better understand how investigative journalism is being implemented in different parts of the Arab world from a practitioner’s perspective. This part of the project allows us to uncover how investigative journalism is adopted and practiced in various Arab countries, specifically in relation to those affected most by the Arab Spring, such as Egypt and Tunisia. 3. Conducting a textual analysis of news reports from selected news outlets over a span of different media platforms to evaluate the extent to which the actual media reporting in countries affected by the Arab Spring can be classified as ‘investigative reporting’. The analysis and evaluation will be conducted against a set of criteria defining and distinguishing investigative reporting. This part of the project aims to estimate the extent to which investigative reporting is developing as a form of news reporting in the region. – To what extent do journalists in the Arab world understand and adopt the skills required to conduct investigative reporting as a form of journalism? – To what extent have the recent changes and implications brought about by the Arab Spring had an effect on the culture of news reporting? – What kind of issues, if any, have now been possible to report on post Arab Spring? – Is the quality of current investigative reporting based on sensationalism or does it seek to use facts-based investigative reporting? – Are there any significant limitations to investigative reporting? Is it safe to assume that previous limitations have been gradually lifted? – What are the opportunities, if any, to the rise of investigative journalism post the Arab Spring, as a tool of democracy building? – What is the role of investigative journalism training in light of the limitations and opportunities presented to investigative reporters in the Arab world today? In light of the above questions, this first part of the project seeks to provide a set of recommendations on the state of investigative journalism training in the Arab region based on uncovering the limitations and opportunities investigative reporting is currently undergoing. These recommendations will present a clear direction on what needs to be achieved or improved in order to allow investigative journalism to become a knowledge-building tool, especially when the public is dependent on the media in post conflict times towards a state of peace and development. The first part of the project of which this grant proposal is concerned with covers the interviewing of trainers, supervisors, and journalists at the Arab Reporters for Investigative Journalism (ARIJ). At ARIJ there are 5 coaches, 3 Computer Assisted Reporting (CAR) trainers, 8 board members who are either journalists or academics, and the Executive Director Rana Sabbagh whom I have been in contact with regarding this project. I aim to interview these people who are involved in the training process. In addition I will be interviewing journalists who are receiving the training to gain a holistic picture of the overall process. Ethical clearance is currently being sought from my university ahead of preparations for these interviews. Qualitative in-depth interviewing is the chosen methodology for this first part of this project, as it is the most appropriate and suitable method to yield the sought results whereby the insights of the training process, an in turn its potential impact, could be uncovered and brought to light. At this initial stage, and as the chief investigator, I will be carrying out the interviews. It is important to note that I converse, write and read fluent Arabic and therefore am fully capable of conducting conversation style interviews. Also, my previous experience as a journalist and media trainer in Jordan working for the government for four years means that I am fully equipped to understand the subjects I am interviewing, in addition to the issues concerning the industry. To add, I have been researching and teaching an Investigative Journalism unit at my home institution, Swinburne University, in Australia and am therefore also aware of the issues and challenges related to investigative reporting as a form of journalism. The above outlined questions set the ‘themes’ that will be addressed in the in depth interviews, which seek to uncover the anticipated responses. It is necessary to note that the interviewees will remain anonymous, and this will be made clear to them, in order to ensure that they can converse with minimum restrictions. After the interviews have been conducted, they will be translated (if in Arabic) and transcribed. I will then conduct a conversational analysis and be able to identify the emerging themes from the interviews outlining the challenges, limitations and opportunities of investigative journalism training, and in turn come up with a set of recommendations which will be submitted as an academic journal article and a report. In terms of staffing, as noted above, I will be conducting the interviews myself, conducting an analysis of the data and writing up the results. However due to time constraints a translator will need to be employed to translate and transcribe the interviews. As the project develops to later stages additional researcher assistants will be added, especially when interviews will be conducted in various Arab countries. Saba is a journalism and media researcher with many years experience in researching, writing, and teaching in the fields of Arab media, journalism, global media, and media policy. Saba was a broadcaster/producer for Radio Jordan‘s English service for four years. During this period she also worked on a contract basis for CNN, World New Events (USA), and Dubai TV during her stay in the Middle East. In Australia she worked as a journalist at 3ZZZ Melbourne Ethnic Community Radio, as a consultant for SBS, and is a certified radio trainer. 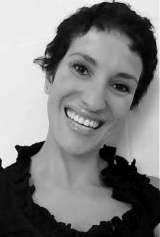 Saba has practical experience as both a print and broadcast journalist within Australia and the Middle East since 1995. She also wrote for local newspapers in Queensland while working for MPower media, Amnesty International Australia, and Rehame during the Sydney Olympics. Saba has considerable experience researcher in media and communications. Saba holds an MA Research in Media Policy from Queensland University of Technology (QUT), an MA in Communications from Monash University, and a PhD in Arab Media from the University of Melbourne. Saba has a strong record of ongoing academic publications, and is research active. She has presented at a number of international and local conferences. The MA research on community media policy provided recommendations for the industry and to the Australian Communications and Media Authority (ACMA), the Australian Broadcasting Authority (ABA) at the time. In addition, Saba is a member of a number of international academic media organizations such as International Communication Association (ICA), International Association for Media and Communication Research (IAMCR), OURMedia, World Association of Community Radio Broadcasters (AMARC), and the Emerging Scholars Network (ESN). A list of Saba’s publications and conference attendance is attached. Saba has also been guest lecturer speaking for a forum on International Women Journalists and how female Journalists in Jordan cover the issue of honor killings, and on another occasion on Media Organizations in the Middle East. It is worth noting that Saba is fluent in Arabic, both spoken and written. The project Democracy Building in Post Conflict Regions: Investigative Journalism Training Post ‘Arab Spring’ is the first project to date that looks into the state and role of investigate journalism in the Arab world after the protests of the Arab Spring. In such an environment, it would be expected that this form of journalism would be ripe for taking on a more prominent role, especially in relation to the new stage that the region faces in recovering and developing towards an emerging democratic political and social environment. The fact that the Arab Spring is still happening in parts of the Arab world, such as Syria, means that this project is not only timely but also one that could be ongoing. The necessity of this project lies in the importance that the media play in keeping their citizens informed, in order for them to play a democratic role in a region where this has previously been foreign. The subsequent two stages of this project would build on the recommendations stemming from the initial interviews with ARIJ and provide a strong basis for carrying out further interviews with regional investigative journalists and trainers, and for a textual analysis of actual investigative reporting in post Arab Spring regions.